Marina started to dance at age 13. Russia is a very different country in it's dance education approach. It was unheard of for someone to start dancing at such an "old age". 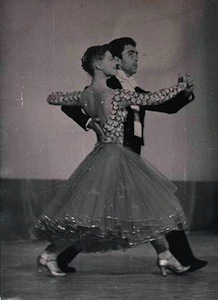 So at age 13 she made the "unfortunate choice" of wanting to learn the Waltz, and she has been learning ever since. Previous to this time, she was a successful competitive swimmer. While in Russia, Marina successfully competed in Latin and Standard at both Amateur and Professional levels. 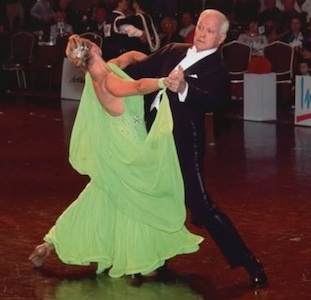 She was a Russian National Finalist in Latin in both amateur and professional competition. Marina also made the finals in the European Cup in Latin American Style. In the USA, she has won numerous Professional and Pro-Am competitions, in all styles including Theater Arts or Cabaret. Upon being invited to this country in 1993, Marina moved to New York City to work for the Fred Astaire Dance Studios. 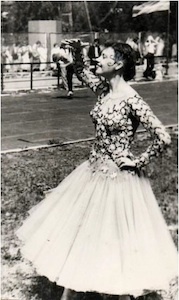 While in Russia, her experience was limited to teaching Professionals and children competitors at the Perm State University of Arts and Culture. Consequently, she was shocked to find that in NYC she would be teaching adults! Though she was under shock, she was also under contract and didn't have much choice but to learn. The learning process was actually very enlightening and rewarding! Having a strong desire to share the benefits and fun of dancing with others, Marina has opened her own dance studio, Let's Dance Rochester, where she is actively teaching dancing and theater arts to Rochester Area students of all ages and all abilities and experience. Marina's dance instruction reflects her extensive training and experience teaching people of all skill levels for over 25 years. Through her experience working in the USA, she has developed a strong interest in American Smooth and Rhythm dancing as this style is especially good for social dancing, show dancing and theatrical dancing. At the same time, she teaches International Standard and Latin, the dance style danced world-wide. In sum, Marina's teaching leaves many doors open for her students to continue wherever their dance interests may lead. Master's Degree in Dance Forms and Art of Choreography.